Members of the public helped security staff detain a 12-year-old boy after he was chased to a Westcourt shopping centre by a resident who allegedly caught him in the act of stealing from his unit. The boy was chased by a resident to the DFO shopping centre after he was discovered allegedly stealing a bike, computer tablet and phone from the nearby Earl St apartment complex. According to Cairns Police: "It will be alleged two boys attended a Springfield Crescent unit complex just before 11am on Saturday and forced entry to several mail boxes at the front of the complex, stealing postal packages belonging to residents. "It is further alleged that later on Saturday at around 3pm, a group of youths entered the yards of two properties on Earl Street at Westcourt and stole a bicycle, a computer tablet and a phone. "A resident of the second property observed the incident and gave chase on foot. The youths subsequently ran to a nearby shopping centre where they were detained by security staff and members of the public." Later that night, police arrested a 16-year-old for the alleged theft of a range of items from a unit on Charles Street. Residents of the unit returned home around 11.20pm on Saturday night to items such a handbag, wallet and car keys missing. A police patrol located a group of youths near the intersection of Sheridan and Upward Streets at around 12.30am. They took a 16-year-old into custody and recovered a sum of money, with further searches locating the handbag, wallet and keys which were returned to the owner along with the money. Cairns Property Crime Squad officers charged the boy with burglary. He was also charged with wilful damage as a result of further investigations into an unrelated incident in Townsville earlier this year. 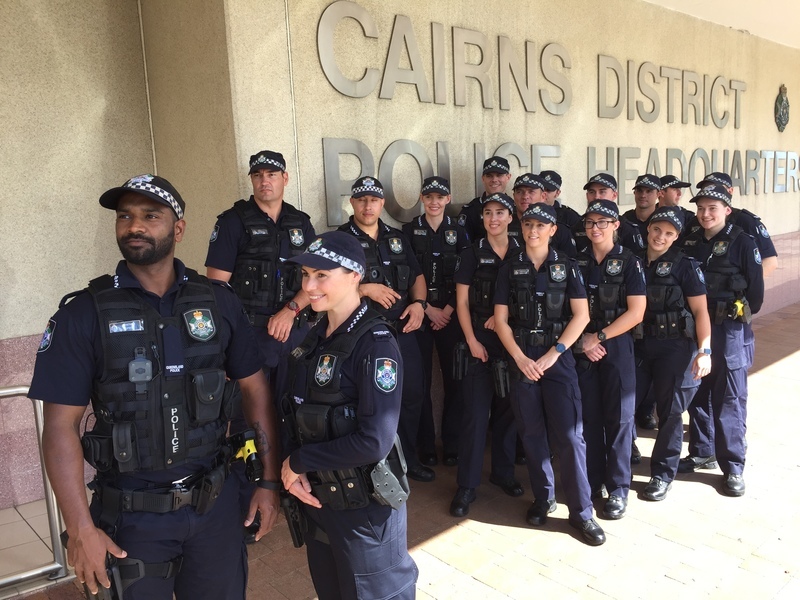 Given the ongoing issues with youth crime in Cairns, the recruitment of 17 new officers to the Far North is no doubt welcomed by fellow officers and the community. "New officers to the Far North are always a welcome addition and will add to the current capabilities of the outstanding staff that we already have in the district,” Superintendent Brett Schafferius said. “Cairns Police Station is the busiest station in the Far North which makes it an ideal training ground for our First Year Constables."